NEW DELHI — Indian Prime Minister Narendra Modi says the country has shot down a satellite in low orbit, entering an exclusive club of nations that have developed anti-satellite weapons. In an unexpected address to the nation Wednesday, Modi called it a major breakthrough in the country's space capability. A missile fired from eastern India brought down the satellite in low Earth orbit about 300 kilometers away in an operation that lasted "three minutes," he said. Modi said the test was not designed to create "an atmosphere of war." "I want to assure the world community that the new capability is not against anyone. This is to secure and defend fast-growing India," he said. India is the fourth country after the United States, China and Russia to have used an anti-satellite weapon. "India has registered its name in the list of space superpowers. Until now, only three countries in the world had achieved this feat. 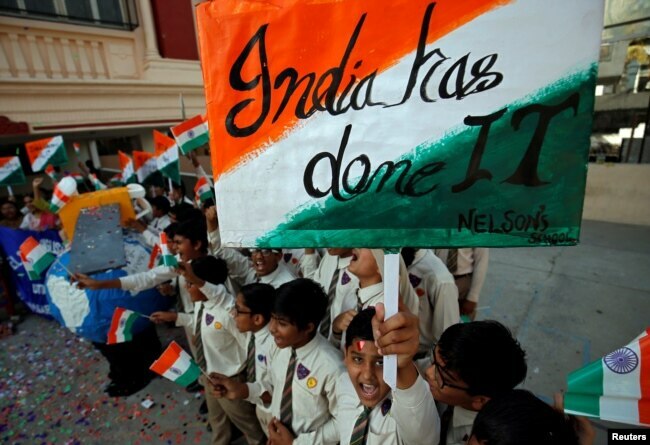 There can be no prouder moment for any Indian," Modi said. The satellite interceptor was designed domestically by Indian space scientists. India's foreign ministry said the test is not directed against any country, but meant to provide the nation with "credible deterrence against threats to our growing space-based assets from long-range missiles and proliferation in the types and numbers of missiles." The statement also said that India "has no intention of entering into an arms race in outer space." Security experts in New Delhi called the test significant and said it had been developed with an eye on China, which carried out an anti-satellite test a decade ago. 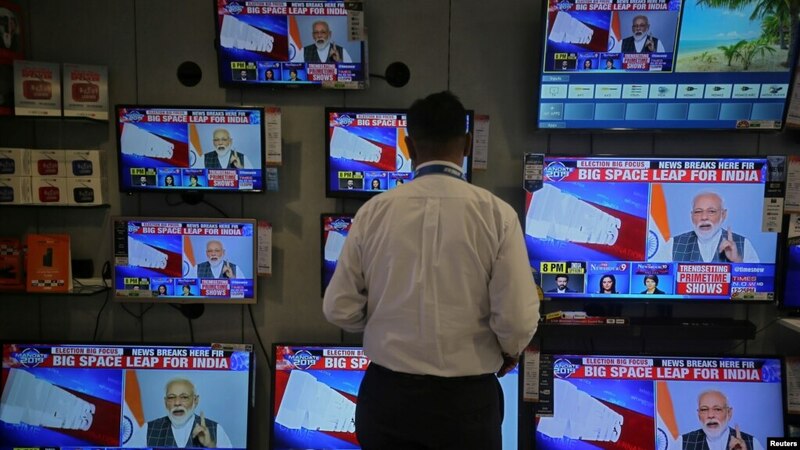 "Low Earth orbit satellites are usually used by the adversary state for tactical information," said Bharat Karnad, a security analyst with the Center for Policy Research in New Delhi. "We essentially are signaling to China that we can take out your satellites that might be transmitting all kinds of data from onboard sensors, and that China therefore will not have the edge it had until we tested and proved our capability for pre-emption." Satellites provide crucial intelligence and communications in modern warfare, and the ability to destroy them is considered an advanced capability. India has border disputes with both China and Pakistan and is also wary of the close defense partnership between its two neighbors. It fought a brief war with China in 1963 and three with Pakistan, the last in 1971. The announcement of the anti-satellite test comes a month after spiraling tensions with archrival Pakistan had raised fears of another conflict between the two countries. The hostilities erupted after unprecedented airstrikes by India inside Pakistan to target a suspected militant camp led to an aerial confrontation between the rivals. Experts say previous governments had hesitated from conducting a live anti-satellite test fearing an adverse reaction from major powers, but Modi has taken a tougher line on national security issues. Security experts in India shrugged aside concerns that have been raised about the militarization of space with the development of anti-satellite missiles. "If all the countries are doing it, then India with proven capabilities is not going to fall behind, is it?" according to Karnad. India's space program has developed launchers and satellites and carried out missions to the moon and Mars. New Delhi also tried to address concerns the debris from such tests can harm civilian and military satellite operations. The foreign ministry statement said India carried out its test in the lower atmosphere to ensure there was no debris and whatever was generated would "decay and fall back onto the Earth within weeks." Meanwhile, Modi, who faces elections in two weeks, came under attack from the opposition for trying to score a political point by announcing the test in a nationwide address.